We understand that dental emergencies do arise. Whether you are a new or existing patient we pride ourselves in our ability to see you the same day. Our office reserves several times in our daily schedule for those patients that have dental problems that just can’t wait. If we do see you on an emergency basis we’ll assess the area of concern and diagnose the problem. Most of the time, we’re able to perform treatment the same day. If we do need to reappoint you, we’re normally able to do so at your convenience. 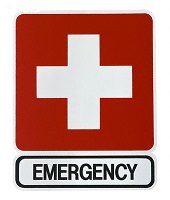 If you are in need of a dental emergency appointment, contact us at The Office of Dr. Hyde at (716) 823-2898.